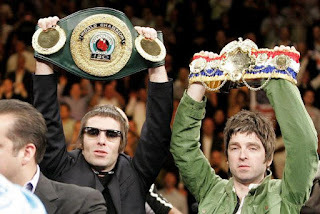 In all Liam & Noel Gallagher's solo work along with the albums they did with Oasis made up 5% of the 100 most popular UK Albums Chart of 2018. *Based on physical, download, and streaming equivalent sales, from the Official Charts company. 50 (What's The Story) Morning Glory? 74 Who Built The Moon?